Do You Have a Fondue Pot? I am pleased to announce that Carol Covin, aka Granny-Guru, from New Grandmas will be a regular contributor to Grandmother Diaries. That’s right. A Geek grandma and a Granny-Guru both on one site! As a grandmother herself Carol has a wealth of information and experience to share with us. She is also the author of “Who Gets to Name Grandma? The Wisdom of Mothers and Grandmothers”. Our sister site Geek Girl USA will publish her author interview in the not too distant future so be sure to watch for it. I am looking forward to this ongoing collaboration with the Granny-Guru. So please join me in extending a warm welcome to Carol. Here is Carol’s first contribution. Enjoy! Last week I went to a fondue party. http://en.wikipedia.org/wiki/Fondue I see the blue enameled pot I got as a wedding present every time I open the cupboard door. I probably haven’t made fondue for friends in 30 years. But, I wouldn’t even consider getting rid of the pot. To look at a fondue pot is to remember lazy evenings with friends, talking over the pot, making sure your beef hasn’t turned crispy and you haven’t lost your bread cube in the cheese. The hosts started out with their own fondue pot, added one from the mother of one of the hosts, and laid out seven more they’d picked up at yard sales and eBay for what is now an annual event at their house. They arranged them in three stations for the crowd of 12, with plates of bread cubes for the cheese and dipping sauces for the beef cubes. We finished with platters of strawberries, cake and sweets to dip in the chocolate. I spent a summer in Switzerland in 1967. 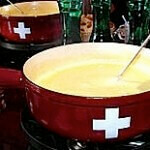 I never had fondue there, even though the Swiss have promoted it as a national dish since 1875. Fondue started as a way to use up leftover bread and cheese and was first described in a cookbook in Zurich, Switzerland in 1699. Fondue comes from the French word, fondre, to melt. Thus, fondue means melted. How Did It Come to Be Popular in the United States? Where Can You Find Fondue? 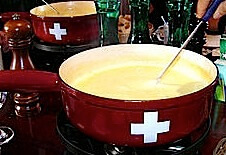 Swiss restaurants serving fondue are popular at ski resorts. A communal pot and conversation. I’m glad this 60s memory is intact. Have you ever eaten fondue? Do you still have your own fondue pot? Have you ever served your grandchildren fondue? I love fondue! My former hometown in Nampa, Idaho actually had quite a lovely fondue place located in an intriguing old building. It became our go-to anniversary dinner, and we left full, fat, and happy. My husband and I used to do fondue at home, but not as much anymore since it seems like there are so many ingredients to buy in order to get the whole effect, plus some cheeses can be so pricey. 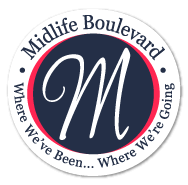 I've yet to try The Melting Pot, which is a chain fondue restaurant. What a great anniversary tradition! It's easy to forget the fondue pot at the back of the cupboard, until you think about having a few friends over for a cozy Winter dinner, then, it's perfect. Fondue is fantastic. Both cheese fondue and meat fondue. Used to have a lot of it in Swit. zerland and, if I'm not mistaken, I used to have one in Sweden before I moved abroad in 1986. Since then I don't think I have had fondue actually. No reason, just didn't happen. Where did you live in Switzerland, Catarina? I lived in Lausanne for a summer, studying French in college.